Probably my favorite sequence in Cinderella. 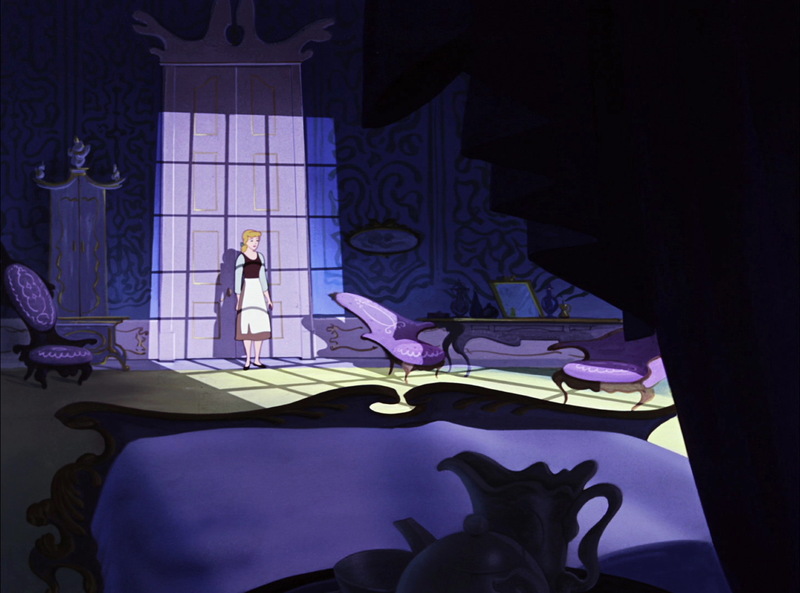 Lady Tremaine is about to discipline her stepdaughter by demanding an overwhelming number of chores around the house. 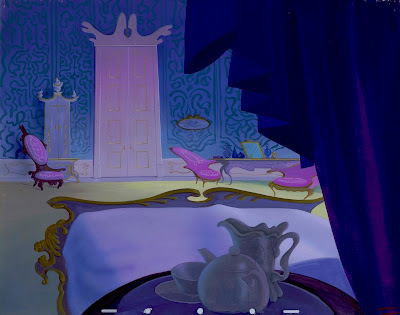 This camera angle is from behind the night stand. The focus is on Cinderella, who is shown in the light. But the grid-like shadow (an effects level) gives the impression that she is in prison. Masterful staging. 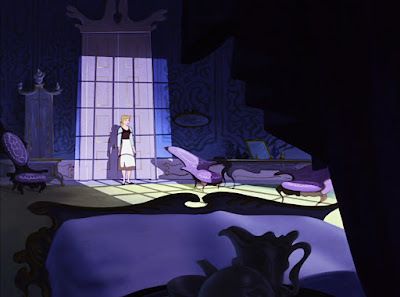 Eric Larson animated Cinderella throughout this sequence, and Frank Thomas of course gave the Stepmother her ultra chilling performance. Above is the film frame grab, below the actual background.